- The Developers' Conclave for Technocity and Technopark Phase III was held at Technopark yesterday. Most of India's top developers attended the discussion on Kerala's top IT project - Emaar MGF, Unitech, Raheja Group, Parsavnath, GMR, IVRCL, Embassy, L&T and so on. Even as a much-touted "IT City" came a cropper elsewhere as its shady background unraveled, Technocity seems to have drawn the attention of the who's who. 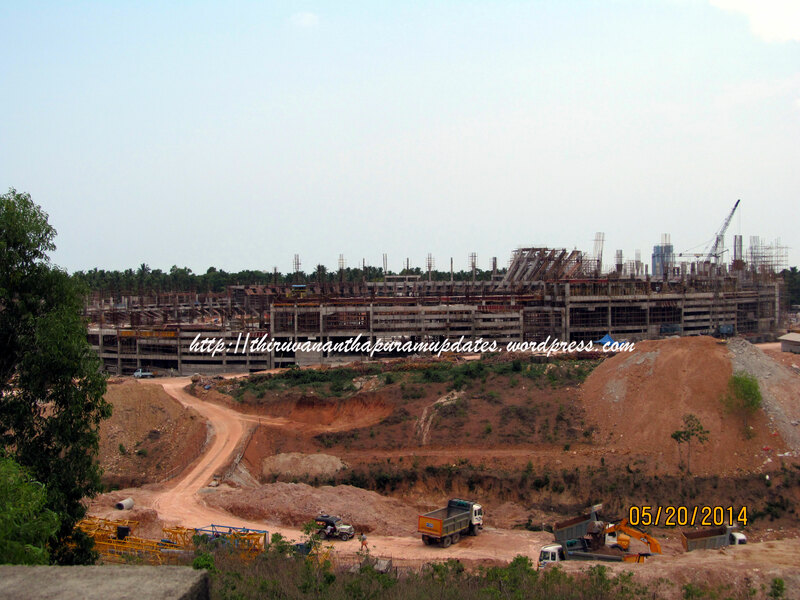 - Work started in full swing on the Infosys Campus. - Approvals were received for the International Convention Centre Complex at Aakulam being developed by the Raheja Group. Work will start within a month. - The Union Government has cleared the location at Vithura for the Indian Institute of Science Education and Research, a world-class institute of higher learning along the lines of the IISc. The classes will start this Academic Year itself at the sprawling College of Engineering campus. The IISER comes on the heels of the IIST as the second world-class education and research institute to be established in Trivandrum in recent days. With institutions like VSSC, NIST, SCTIMST, CDAC, RGCB, TGBRI and others already present in and around the city, Trivandrum is now breathing down the neck of the likes of Bangalore and Pune for the title of the knowledge capital of India. When there are 10,000 researchers, academicians and students in one city, it is not hard to see why this is so! - New apartments announced by Oceanus and SRK around Technopark. Oceanus Bliss is a super-luxury apartment project which is expected to scale new heights in pricing. - A mall being developed by Nikunjam Group at Overbridge and another at Medical College by a private builders. - A 42 acre township is being developed near Kumarapuram by the Total group at a cost of over Rs 750 Crores. Stay tuned for a lot more in the next few days, especially so since the bids for Vizhinjam will be opened on the 31st!